Whitney A. Leonard joined the firm in 2017. She works in all areas of the firm’s practice, with a particular interest in Native land rights, environmental justice, and treaty hunting and fishing rights. Before joining the firm, Ms. Leonard clerked for Chief Judge Sidney Thomas of the U.S. Court of Appeals for the Ninth Circuit and Justice Dana Fabe (Ret.) of the Alaska Supreme Court. 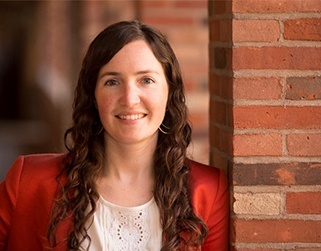 Ms. Leonard graduated from Yale Law School in 2015, where she served as a Comments Editor for the Yale Law Journal and served on the boards of the Native American Law Students Association and the Yale Environmental Law Association. Prior to law school, Ms. Leonard worked on land and wildlife conservation in Montana. Ms. Leonard received her B.A. from Williams College in 2008.